The global coffee market is projected to garner USD 102,279.2 million during the forecast period (2018-2023). The global market is likely to demonstrate 4.32% CAGR owing to the increased consumption of coffee across the world. A beverage with widespread consumption in the world, coffee has been through several changes and innovation over the past years. 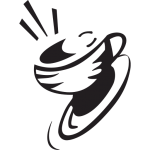 Coffee is prepared by brewing processed or roasted coffee seeds. The two major varieties used in the production of coffee are Robusta and Arabica.